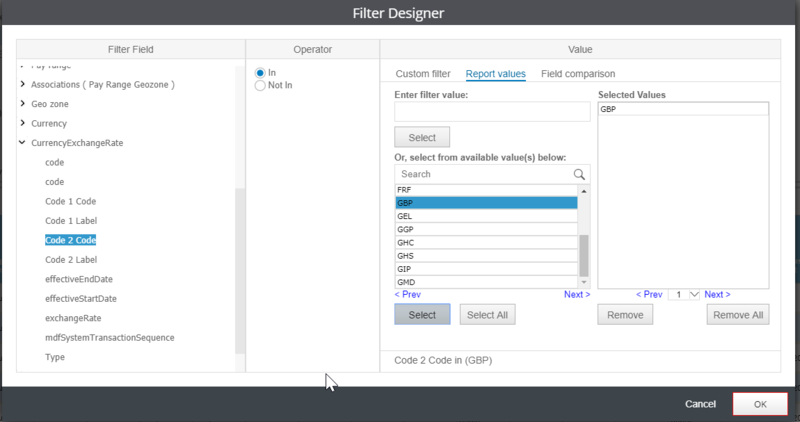 This post is the first in a planned series of SAP SuccessFactors Reporting and Analytics Quick Tips. 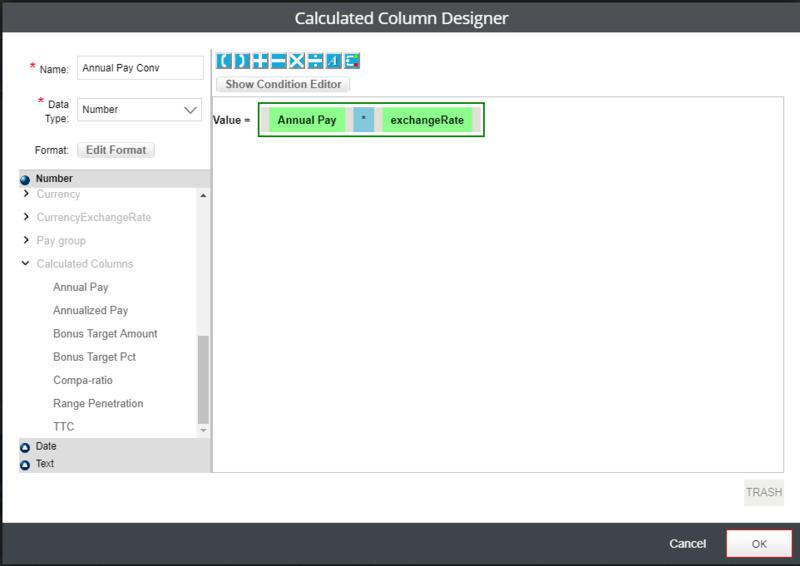 In this post, I’ll walk you through currency conversion in SAP SuccessFactors ORD/Advanced Reporting; if you’re using Report Center, Advanced Reporting is part of Canvas Reports. 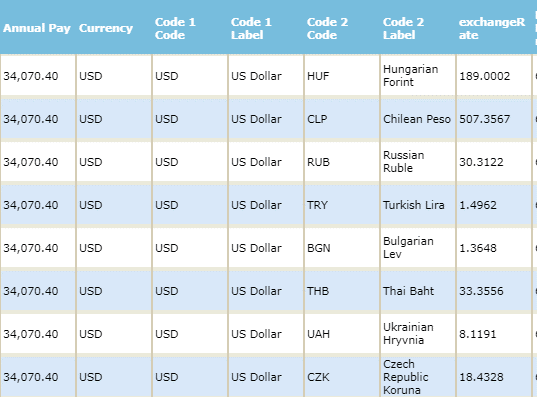 The CurrencyExchangeRate (CER) table lists Currency Code pairs and an exchange rate conversion from Code 1 to Code 2. As you can see, there are multiple rows returned for this employee, since all currency pairs are returned. In this example, the employee is paid in USD so these are all pairs returned with USD as Code 1. 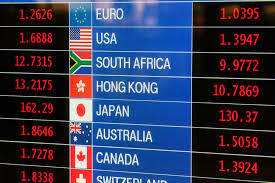 Code 2 is the currency to be converted to with the shown exchange rate. There are two steps to take to return one row for each employee with your desired currency. Let’s use British Pound Sterling (GBP) as the example currency to be converted to for Annual Pay. Tip: You can also make this a Runtime Filter so the end user can choose their currency if desired. Here is your final result (with Code 1 Code, Code 1 Label, Code 2 Label, and exchangeRate removed from the result set). Hi Mike, this is great. Where does Advanced Reporting pull the exchange rates from? Are they the exchange rates loaded in to the system manually, or is it able to pull from an external / live source? Good question, James Hatch. The Currency Exchange Rate table does indeed need to be loaded manually. I’ve updated the article to indicate this load as a prerequesite. Thanks for your input!